From the minute life begins, food makes you strong, helps you grow, and gives you energy. But do you take that ham sandwich for granted? You might not give a lot of thought to where your food comes from, how it got to you, what's really in it, or what it does for you. 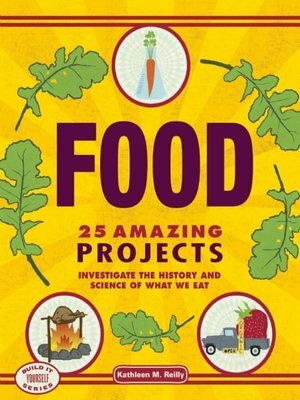 Food: 25 Amazing Projects Investigate the History and Science of What We Eat gives kids some food for thought" as they dive into exciting projects about the incredible world of food. Kids will have fun learning about all aspects of food in our daily lives—how vegetarians balance their diet, how some cultures rose and fell based on a single food source, the route from farm to market, how eating locally makes an impact, and much more.